I am interested in how we orient ourselves in space and time, and the seamless continuum between past, present and the timeless visions of our dreams. Working in antique clock cases, I’ve used assemblage, collage and painting to create small scale spaces. 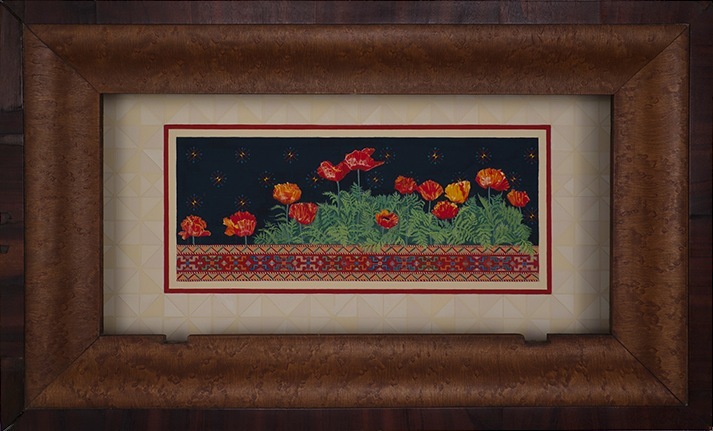 Recent work has included images from flowers and oriental rugs to create densely detailed inner worlds. I invite the viewer to step into and become a part of these intimate domains.